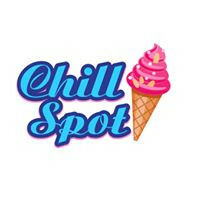 Im a Fan of Chill Spot Ice Cream... Are you? Fill in the below form and you can recommend ‘Chill Spot Ice Cream’ to a friend or family member via a text message. Show your support with a quick share of ‘Chill Spot Ice Cream’. Great ice cream, cookies and brownies, great prices and great people. Awesome team of people that goes above and beyond to make sure each customer is satisfied. The ice cream is great and I’m looking forward to trying some of the latest additions to the menu. She is a hard worker, and always put the customers first and does it with such poses and respect I would not want to go nowhere else. Great flavors and friendly staff! Great place to meet your friends for the best ice cream ever. Such a great addition to our County! Fabulous and friendly family atmosphere. Great ice cream too! We go there 1-2 times a week! Chill spot is so good! They always have th flavor you are craving along with the perfect topping. They also have the best customer service!! Excellent service and the products they offer are all delicious! Everytime I go in Chill Spot nothing, but positive vibe. Staff is very sweet and mannerable. Ice cream is delicious best around here. I love Chill Spot! Everything I have tried has been delicious, and they are great supporters of their community! Chill Spot is a great addition to the community. Great ice cream, great prices, great people running it. Oh my this ice cream is so good! As a family we love going here because of the fun family environment and excellent customer service. Keep up the good work guys because it shows!! We enjoy taking our kids here for a treat after school. Great ice cream with great customer service!! Staff is super amazing! Great place, great environment, great services! Great place for a special treat. Friendly place.